God answers prayers! 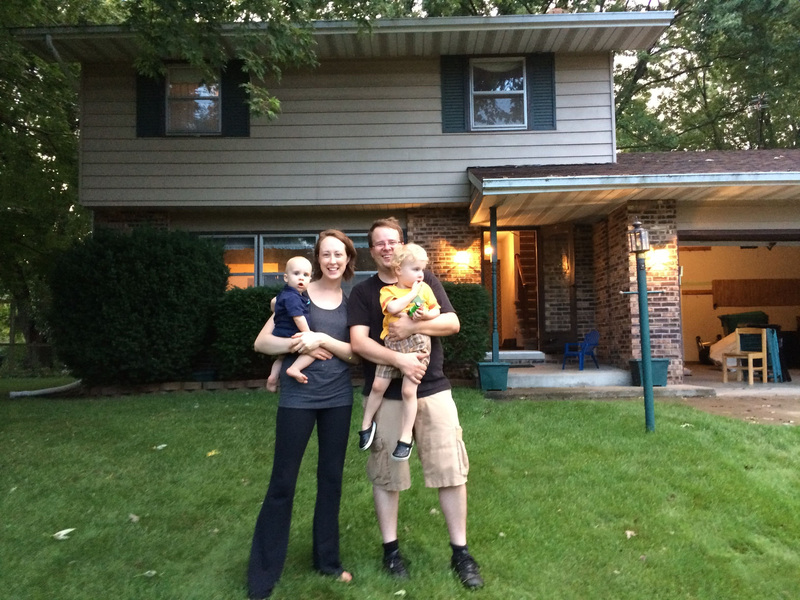 Grinning from ear to ear, we took possession of a house on August 29th! It is in need of a lot of TLC, but we are taking on the task of applying elbow-grease with joy, for WE ARE HOME! Praise the Lord! Thank you for praying for a home for our family. At work things are getting busy and we are so grateful for the projects we get to work on. In addition to the water pump monitor project we mentioned in our last newsletter, Tom is also working on a low-cost, high-power electrical protection unit for our partners with radio stations in developing countries. One of the main reasons radio stations come off the air in these areas is equipment failure due to lightning strikes and poor power supply. This new low-cost protection unit will help guard against such fates for equipment and, ultimately, keep radio stations on the air. It is a joy for me as his wife to see him use his passions and skills for such an awesome purpose. I will be in Haiti at the end of November to work with Kids Alive International, a partner ministry of the Technology Center. Kids Alive operates a children’s village to care for Haitian orphans and a school and church for the local community. It is my desire that the Lord will use me to improve the nutritional status and health of the young children in their care. Tom will be manning the home-front with the kids (with the help of my mother) back in Elkhart while I am away. And, for our biggest news: This season is one of transition at the Technology Center. After almost 30 years as a ministry of Reach Beyond, the Technology Center has been granted wings to become its own full-fledged non-profit organization, known as SonSet Solutions. The transition to this new organization occurs January, 2015. Although this means very little administratively for Tom and I – as we will remain Reach Beyond Canada missionaries on loan to a US non-profit – it means the work we get to be a part of can adapt more quickly to the ever-changing needs of our ministry partners. It also means that the center will need to support-raise for its own operating expenses and undergo a steep learning curve for operations. We pray for wisdom for our leaders and God’s provision for the center. Your friendship and support are immeasurable in importance to us. Thank you for taking the time to catch up on what we are up to, please; have us do the same! Write or give us a call and let us know how you are doing. We would love to hear from you.